Just popping in to re-share an old favorite, Dear Readers. Hope you’re reading something you love these days. Friends, there’s a holiday that we should be celebrating with mimosas, flowers, and massive quantities of waffles with whipped cream. I’m talking, of course, about Galentine’s Day. What’s Galentine’s Day, you say? It’s only the best day of the year, according to notable Pawnee citizen Leslie Knope. Anyway, Leslie Knope competes only with C.J. Cregg for the title of “Carolyn’s Favorite Fictional Female Government Official,” and let me tell you, those ladies would throw the best planned and wittiest Galentine’s brunch this fine nation has ever seen. I like to think that brunch would feature readings hand-selected for participants by Leslie Knope; as dedicated Parks and Rec fans know, she once matched poetry with Scotch in a way that moved even the stolid Ron Swanson. 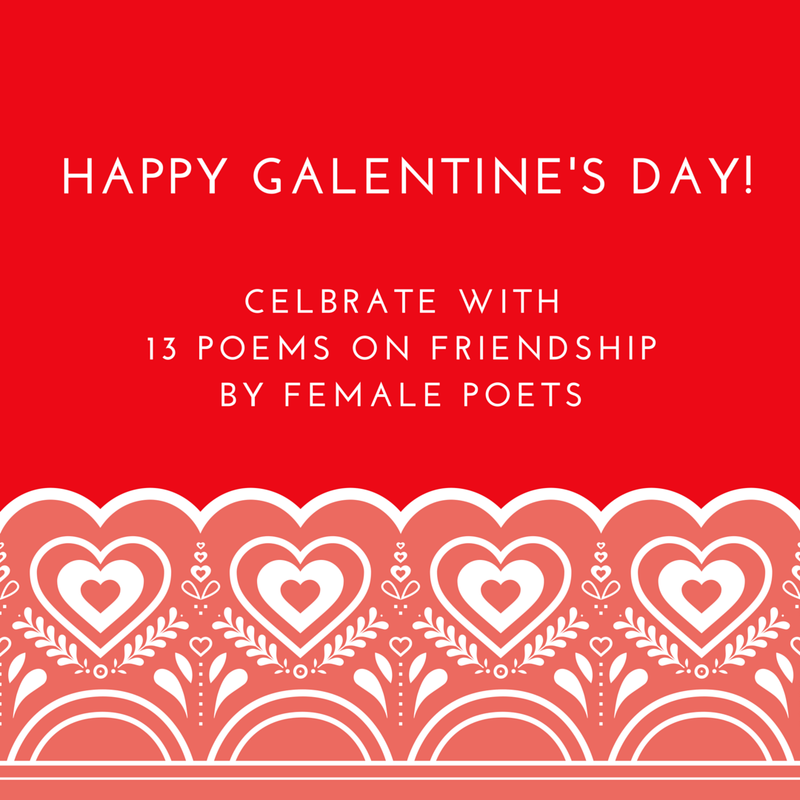 So, in honor of Leslie Knope and Anne Perkins, and in celebration of Galentine’s Day, here are 13 poems on friendship by female poets. Some are elegiac, some are sad, some are funny, some are opaque, some are straightforward—but all are by talented ladies, and I hope you like them. 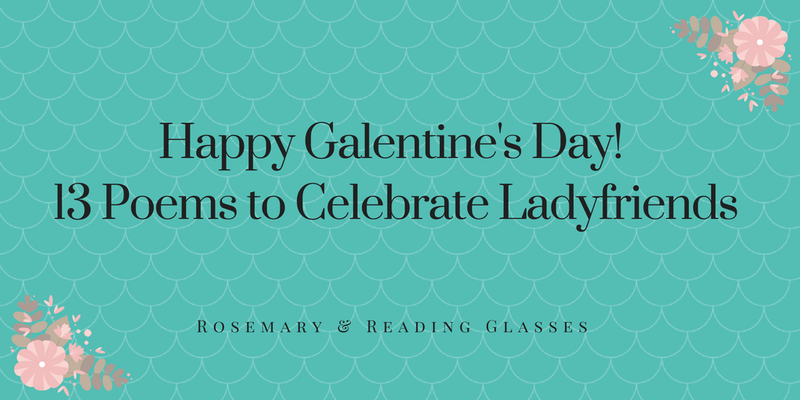 What will you be reading to celebrate Galentine’s Day? Dear Readers, I hope 2017 has ended on a high note for you, and that you have much to look forward to in 2018. I’m popping in (I know I’ve been largely absent from this site, and I have no idea, really, if that will change in the new year) to share some lists. I read 150 books, this year—the most since I started keeping track—and I wish I had the time to tell you about them all. 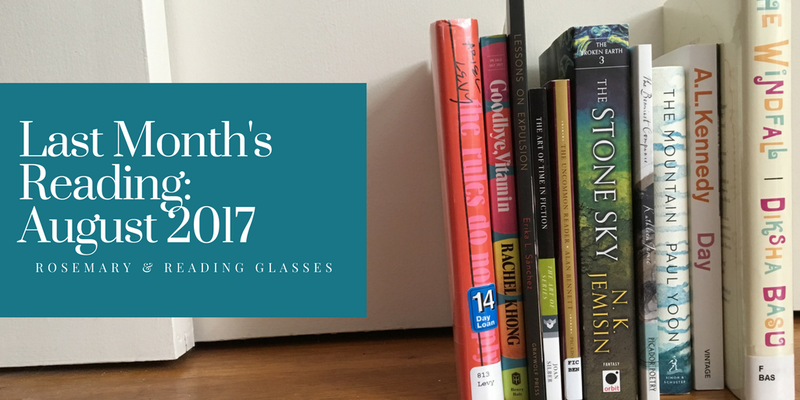 You can find my baker’s dozen favorite fiction releases of 2017 here, on Bookish Beck’s blog. A few expected reads, I think, but maybe some that are new to you? One thing that’s kept me away from this site, besides reading: my own writing, which I’m chipping away at. If you’re interested, you can find links to some published work at carolynoliver.net. Happy New Year, Dear Readers! Here’s hoping 2018 brings beloved new books and old favorites your way. 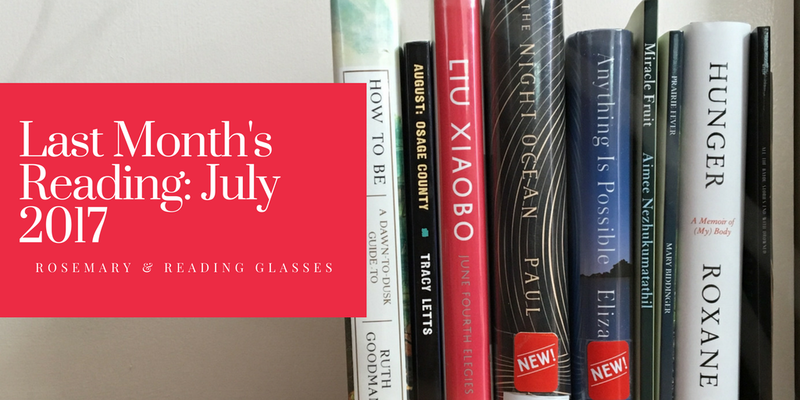 Dear Readers, I hope your August was lovely. We traveled: to Edinburgh (just for a few days; our first trip out of the country as a family), where I was delighted to find the Scottish Poetry Library, and later in the month spent a quick weekend at Niagara Falls (our son adored the Maid of the Mist, as did we), with a chance to visit a dear friend on the Canadian side. Our garden is winding down, school is starting, and the blankets are on the beds at night. Wishing you all a happy fall (or spring, Australian readers), and happy reading. I know many of you have probably already donated to the relief efforts in Texas. 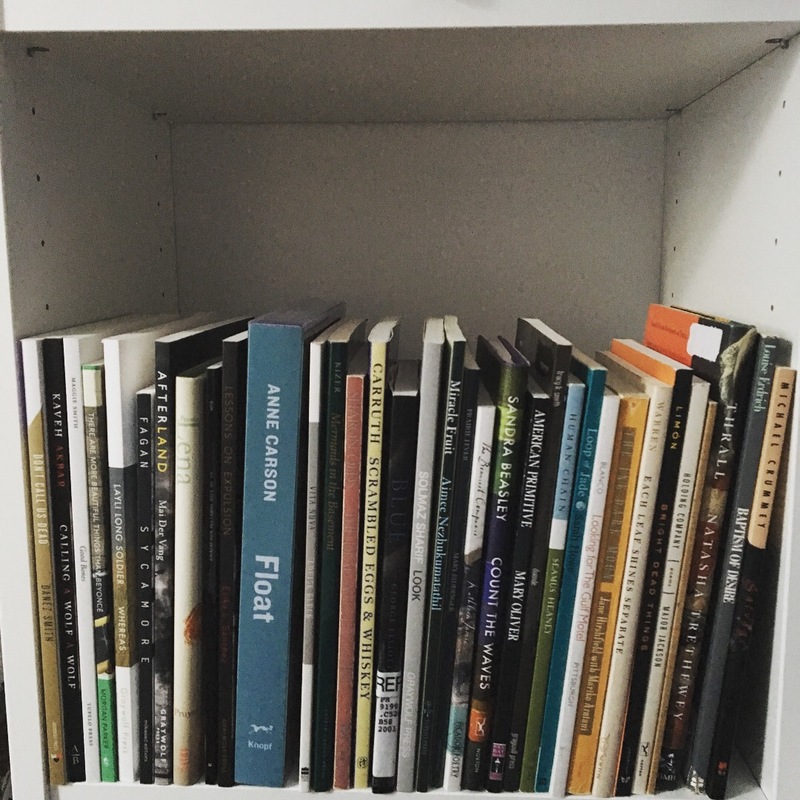 If you’re looking for more ways to help, Book Riot put together a list of book/library/publishing-related ways to do so. Texans, we’re thinking of you. Goodbye, Vitamin*, by Rachel Khong: A quietly beautiful novel about one year in the life of a woman who comes home to help care for her father, who suffers from dementia. Empathetic and funny without shying away from the terrible frailty the disease exposes in both patient and caregiver. Recommended. The Art of Time in Fiction, by Joan Silber: My favorite entry (so far) in Graywolf’s “Art Of” series for writers. I’ll be coming back to this book. Day, by A.L. Kennedy: I bought this novel in the Edinburgh airport and read it cover to cover on the flight home. Day is about Alfred Day, a young man from an unhappy home who volunteers to serve as a tail gunner in a Lancaster bomber during World War II. The book begins in 1949 as Day is working as an extra in a war movie that triggers memories of his experiences. It’s absolutely stellar. The Bonniest Companie, by Kathleen Jamie: One of my finds at the Scottish Poetry Library in Edinburgh. This is a collection about Scotland; Ms. Jamie wrote one poem a week in 2014, and those poems became this book. I love her engagement with the natural world (from “High Water”: “When the tide returns / from its other life / bearing its adulterer’s gifts”). Recommended. 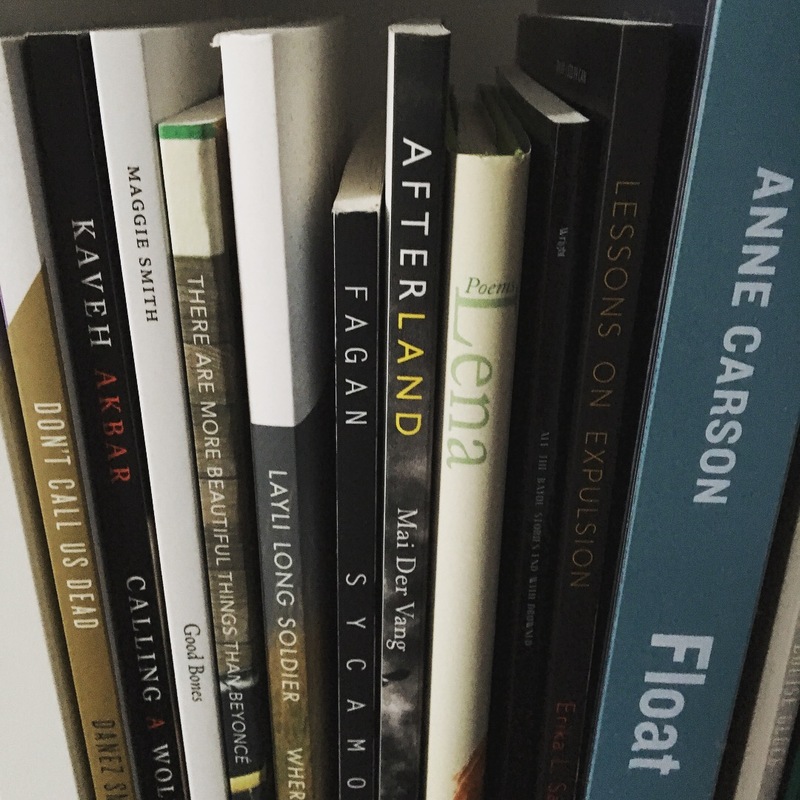 Lessons on Expulsion*, by Erika L. Sánchez: Full review of this bold collection here. The Mountain*, by Paul Yoon: Six gorgeous stories from a master of the form. Longer review coming soon. The Stone Sky, by N.K. Jemisin: The brilliant finale to Ms. Jemisin’s Broken Earth trilogy (the first two installments of which I inhaled at the very end of 2016). Highly, highly recommended. The Uncommon Reader, by Alan Bennett: A little gem of a book; the uncommon reader is the queen, who discovers late in life a passion for reading. Spend an afternoon with this charming novella while you wait for the second season of The Crown. The Rules Do Not Apply, by Ariel Levy: If you’ve read “Thanksgiving in Mongolia,” Ms. Levy’s gut-wrenching New Yorker essay, you know how gifted a writer she is. 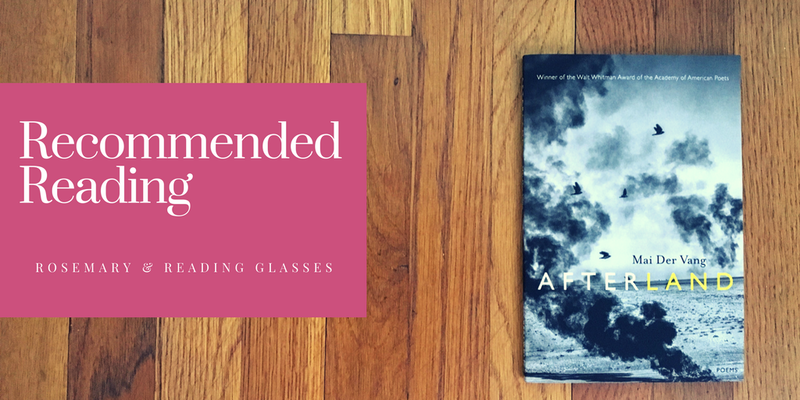 This memoir builds toward the events of that essay in candid, clear prose. Unfortunately, the last few chapters fizzle, holding back in ways the rest of the book (which deals with infidelity, alcohol addiction, and infertility, among other difficult subjects) does not. The Windfall, by Diksha Basu: In New Delhi, Mr. and Mrs. Jha decide to relocate from their small apartment complex to an upscale neighborhood after Mr. Jha sells his business for a significant sum . They know the move will be difficult, but they can’t foresee its effects—hilarious and otherwise—on their neighbors, new and old, and their son, struggling at an American business school. Ms. Basu skewers the rich with a smile, and I was delighted by her nuanced characterizations of long-time friends Mrs. Jha and Mrs. Ray; it was good to see middle-aged women given such close attention. *I received copies of these books from their publishers for review consideration. 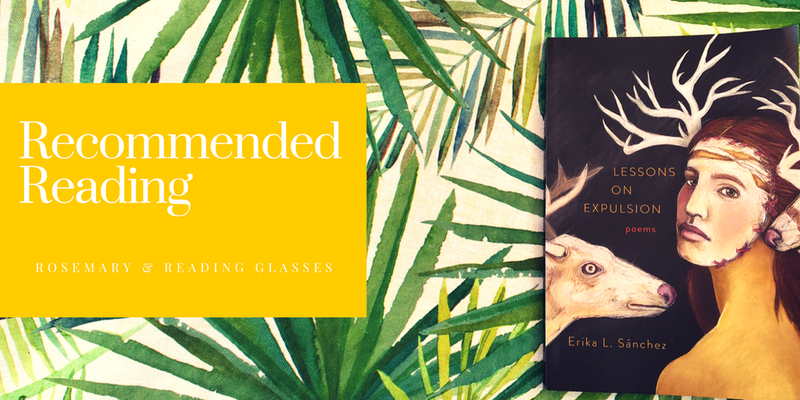 I admired Erika L. Sánchez’s debut collection, Lessons on Expulsion*, for its unflinching determination to illuminate hidden worlds, to explore difficult emotions—bewilderment, sorrow, lust, rage. In Lessons on Expulsion you’ll find a lifetime’s worth of poems: poems about what it’s like to be a girl or woman of color objectified by men (“Hija de la Chingada,” “A Woman Runs on the First Day of Spring”), poems about difficult ends to love affairs, about missing someone in a city that’s not your own, poems about immigrants and the terrors and hardships they face, poems about the murdered and missing in Mexico (“Las Pulgas” is absolutely chilling; “Forty-three” aches: “In this land / of child-brides and teenage assassins, / a bus fill of students dissolves / into the mountain mist.”). I especially appreciated “Crossing,” a poem that begins with the speaker’s parents crossing the border in the “the trunk of a Cadillac” belonging to men “who study my mother’s wet-startled body” and moves through the family settling in Chicago (“The roaches makes nests in our toys”), the parents working “in factory heat,” vowing that their children won’t. As a teenager the speaker rebels, self-harms, eventually travels to Spain (“I cross the Atlantic / like no one in my family ever has”), visiting the Prado while her father “is rising before the sun / to assemble air filters.” It’s a beautiful, moving poem. Lessons on Expulsion is a startling and bold book that doesn’t shy away from the painful, generous impulse to deliver to readers a vision of the messy, beautiful, hard world as it is. 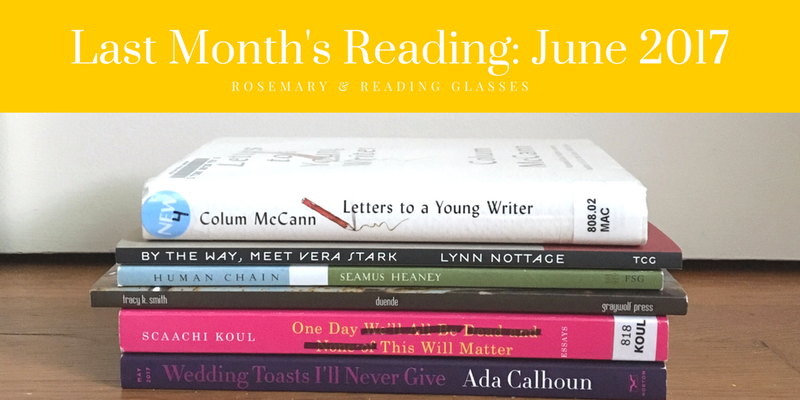 August: Osage County, by Tracy Letts: I read this play about a hyper-dysfunctional, secret-keeping-and-spilling Oklahoma family with a semi-permanent cringing expression. It’s black comedy and melodrama with huge spikes of outrageous behavior; though I haven’t seen the film version, I can imagine Meryl Streep eating her role (as Violet, the vicious matriarch) for breakfast. However, I found the role of Johnna, the only Native American character, problematic, though perhaps that’s a misreading on my part (see Kimberly Guerrero’s piece on the play here). Prairie Fever, by Mary Biddinger: Last month, I lucked into finding this collection at Loganberry Books (and if you’re in Cleveland, I highly recommend the bookstore for felicitous finds). Ms. Biddinger’s sharp focus on Midwest settings almost de-familiarizes them, making the ordinary new (I loved these lines from “Dirndl in a Tree”: “Yard flecked with trillium / like private school collars / spread open on green / and ochre.”) Some favorites from this collection: “Coyote,” “Velvet Season,” “The Flyers” (in which a tow truck’s “tail lights / are cherries pickled in gin and salt”), and “Red Sea.” Packed with gritty characters, hot days, bars and basements, and unexpected animals, it’s a dangerous-feeling collection. Recommended. Hunger: A Memoir of (My) Body, by Roxane Gay: A haunting memoir about trauma, its aftermath, and what it means to live in a body that contemporary American society has deemed unacceptable. Ms. Gay writes about her body—the kind of body that in person is usually read too quickly, without nuance, or even ignored—with directness and powerful vulnerability. This book is a gift. How to Be a Tudor, by Ruth Goodman: Ruth Goodman is not only a social historian, but also a re-enactor who spends long stretches learning first-hand what it was like to live in another era (she was a consultant on Wolf Hall—so cool). That practical and professional experience is abundantly evident in How to Be a Tudor, in which she uses the structure of the Tudor day to show how people—commoners and aristocrats—lived five hundred years ago. It’s a treasure trove of detailed information (I often wished for diagrams) about everything from food (how to grow it and how to eat it) to ribbon-making to tooth-brushing (she prefers soot, of the available options). If you, like me, are a Tudor-era history/lit nerd, don’t miss this one. 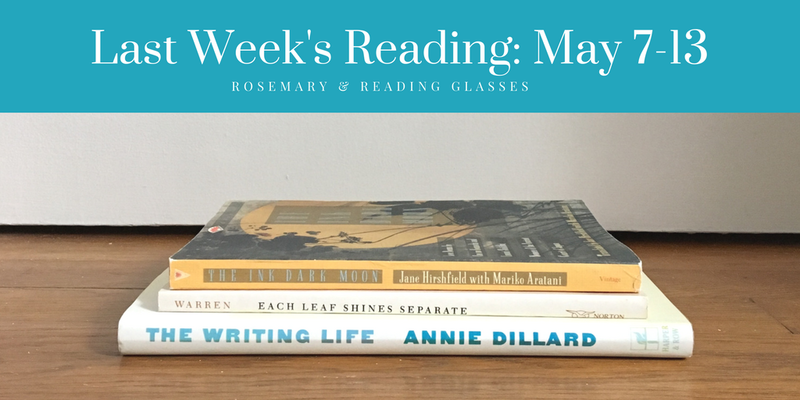 Miracle Fruit, by Aimee Nezhukumatathil: Last year I read and mightily enjoyed the short book Lace & Pyrite: Letters from Two Gardens, a correspondence in poems between Aimee Nezhukumatathil and Ross Gay. Miracle Fruit, Ms. Nezhukumatathil’s 2003 collection, is simply glorious, a feast of language and exquisitely described scents and tastes. Some of my favorites: “In the Potatoes,” “Wrap” (the speaker’s grandmother wraps her sari, “coughs it up over her shoulder”), “The Woman Who Turned Down a Date with a Cherry Farmer,” “Speak,” and “My Name.” Highly recommended. Anything Is Possible, by Elizabeth Strout: I loved last year’s My Name is Lucy Barton, and this set of interlinked stories is a companion piece to that novel, focusing on some of the characters Lucy and her mother recall. In these quiet, often grim, slow-building stories, Ms. Strout treats desperate, lonely, and overlooked characters with compassion and respect. June Fourth Elegies, by Liu Xiaobo, translated by Jeffrey Yang: Chinese dissident, human rights activists, and Nobel Peace Prize winner Liu Xiaobo died earlier this month, still under guard by the Chinese government, which announced his illness only after it was essentially incurable. His wife, artist and writer Liu Xia, is still under house arrest. June Fourth Elegies collects his yearly poems written as offerings for the victims of the Tiananmen Square protests, as well as a handful of poems written for his wife. His introduction is searing in its condemnation of the Chinese state. I found these elegies moving in their appearance as a group, witness of their author’s unstinting sorrow for the dead and decades-long struggle for justice. The Night Ocean, by Paul La Farge: Horror isn’t my thing and I’ve never been particularly interested in H. P. Lovecraft, but Paul La Farge’s novel about a modern couple attempting to suss out some of the truth about the writer’s life and afterlife drew me in after the cover first hooked me; I found the book hard to put down. It’s about yarn -spinning and the stories we tell ourselves, unreliable narrators and texts, the slipperiness of perspective and multiplicity. To say more would, I think, ruin its many surprises. James and the Giant Peach, by Roald Dahl (not pictured): I’m pretty sure my mother read this to us when we were kids; it was delightful to be the one reading it aloud this time. Peals of laughter, over and over. All the Bayou Stories End with Drowned, by Erica Wright: As you might guess from the title, in this collection you’re in the hands of a gifted storyteller (Ms. Wright is also the author of two crime novels, including The Granite Moth). Many of these poems are eerie (“Spontaneous Human Combustion” or “Abandoned Doll Factory,” for example), darkly funny, suggestive of lurking longer stories. Some of my favorite poems in this collection were “American Highways in Billboard Country” (“What if the exit we choose / isn’t the one we wanted?”), “Our Wilderness Period,” “Select. Start.” (It’s hard to love men who played video games / as boys. It’s hard when you can’t picture them / skinning their knees on gravel [. . . ]”), “American Ghosts,” and “Trespassing.” Highly recommended. Astrophysics for People in a Hurry, by Neil deGrasse Tyson (not pictured; library e-book): I actually did read this one in a hurry, finishing it just a half an hour before it was automatically returned (no overdue finds for e-books, I guess). In these short essays, many revised from previous publication, Neil deGrasse Tyson covers a wide range of topics in astronomy and astrophysics (think dark energy or the Big Bang) for the layperson. It’s a cosmological amuse-bouche, if you will. House of Names, by Colm Tóibín (not pictured; returned to library): House of Names is an unsettling take on the miseries of the mythological House of Atreus, presenting the perspectives of Clytemnestra, Orestes, and Electra to suggest how everything went terribly wrong. Mythology gives readers a wide sweep, archetype and theme; Mr. Tóibín offers grim detail, whispers in the dark. Read this—the first line is “I have been acquainted with the smell of death.”—and you’ll never again look at your copy of Edith Hamilton without a shudder. One Day We’ll All Be Dead and None of This Will Matter, by Scaachi Koul: I remember reading, in Buzzfeed a couple years ago, “Hunting Season,” Ms. Koul’s essay about the dynamics of men watching women while they drink. It was so smart, so spot-on, so scary. You’ll find it in this collection of essays that’s undergirded by Ms. Koul’s experience as a woman of color in Canada (her parents moved to Canada from India before she was born). Despite its bleak title and serious themes, this collection is often hilarious—her boyfriend is called Hamhock—since Ms. Koul uses humiliating-yet-funny experiences (a dressing room incident in which a skirt refuses to budge, for example, or feeling absolutely terrified about flying) from her own life to illuminate larger questions about identity and culture. A winner. Letters to a Young Writer, by Colum McCann: Bite-size pieces of advice to beginning writers, with a focus on empathy and perseverance. Excellent epigraphs. Chances are you’ve heard versions of this advice if you’ve read around in the genre, but still, this is a warm and welcoming read. *I received a copy of this book from the publisher for review consideration. Duende, by Tracy K. Smith: I cheered out loud when I saw that Tracy K. Smith had been named the new poet laureate, and to celebrate I bought this 2007 collection. It’s beautiful and technically accomplished, of course, and I was so impressed by the way Ms. Smith brings histories of violence to life and into the realm of the particular body. She’s an absolutely phenomenal poet. Human Chain, by Seamus Heaney: The last of the Irish writers I read this month (an unintentional grouping). There’s nothing quite like reading Seamus Heaney to deflate one’s pride; in Human Chain I found a poem about a pen (“The Conway Stewart”) that’s better than anything I’ve ever written or will ever write. And in “The Door Was Open and the House Was Dark” I found the poem I would have read at my dear grandpa‘s memorial service. A beautiful, moving collection. Birdie, by Tracey Lindberg: As usual, I am late to the CanLit party, but let me be the umpteenth person to tell you that Birdie is very, very good. Birdie, a Cree woman, has traveled to British Columbia from her home (that’s simplifying things, I admit) in Alberta, working in a bakery and hoping, maybe, to meet Pat John, an actor from The Beachcombers (had to look that one up). Birdie goes into a dream state in which she processes her memories of abuse; soon, her Aunt Val and cousin Skinny Freda arrive to watch over her. The novel is unabashedly non-linear, and Ms. Lindberg weaves Cree language and stories through the narrative, making this one of the more unusual, affecting reading experiences I’ve had lately. For a better review from a Canadian perspective, check out Laura’s post. Highly recommended. Sycamore, by Kathy Fagan: I admire Kathy Fagan’s poetry so much, and Sycamore is no exception. In it, Ms. Fagan considers the sycamore tree as a physical object and as a metaphor (for growth, for change, among other things) in poems about the end of a long marriage. 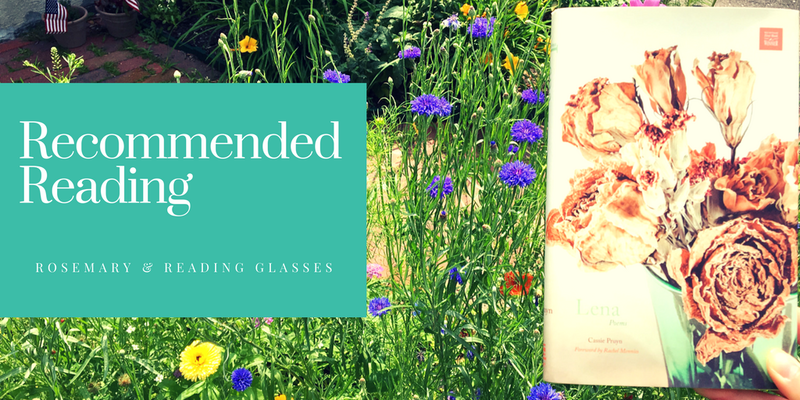 Sycamore is the kind of book that I’ll return to again and again, though its complexities and delights make it difficult to express how much I enjoyed it in this brief overview. For a better sense of the collection, please have a look at The Cloudy House Q & A with Kathy Fagan. 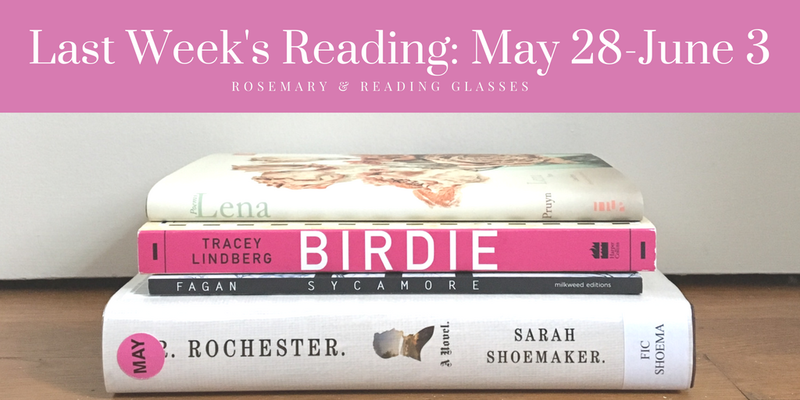 Mr. Rochester, by Sarah Shoemaker: Jean Rhys’s Wide Sargasso Sea will always be the Jane Eyre-inspired novel against which all others are measured, though Mr. Rochester is a fine addition to the category. If it didn’t, to my ear, quite capture the voice of the elusive and angry Rochester, it nonetheless is a noble effort, and Ms. Shoemaker plausibly fills in the gaps of his history. Subtly, the author shows us that Rochester is not so self-aware as Jane; nor is he particularly invested in righting the many wrongs he encounters in his travels. 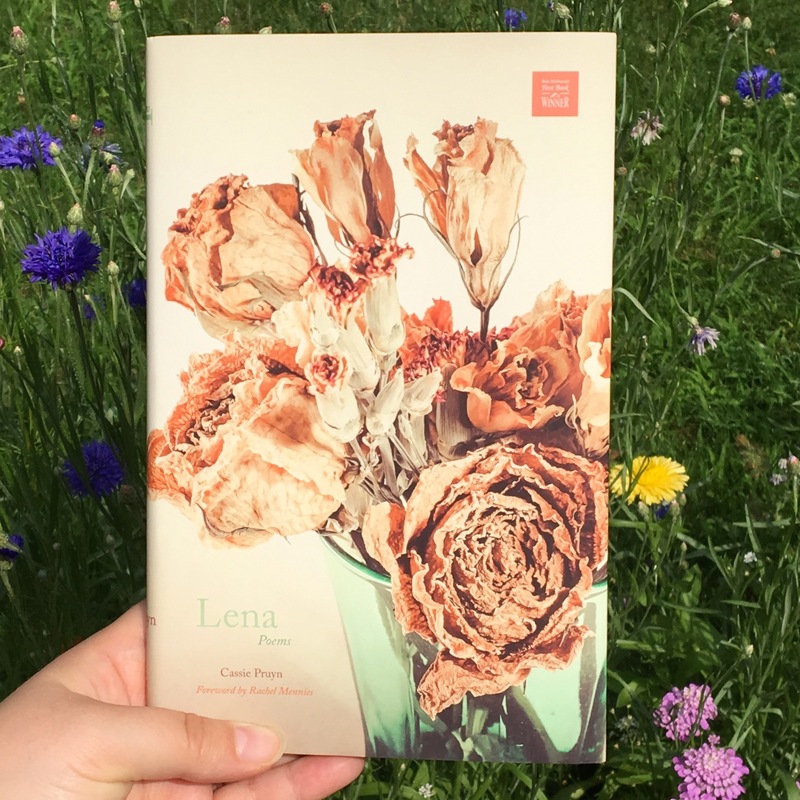 Recommended for Brontë fans looking for more of the gloomy Mr. R.
Lena, by Cassie Pruyn: This is a beautiful debut collection about the sweet-bitter nature of first love–longer review to come (sooner rather than later, I hope).